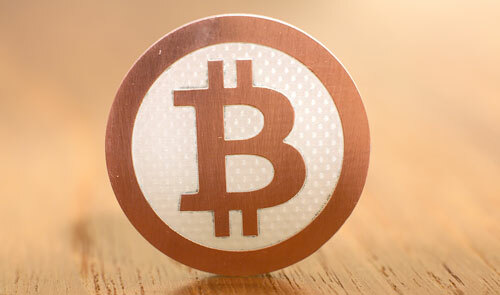 You are at:Home»In-depth»Can digital currency coin it? Can digital currency coin it? In June this year, James McCarthy, a British expatriate living in China, was turned away at Seattle airport for not having sufficient funds to enter the US. This seemed odd considering he had arrived in the country to start a currency business. According to The Economist, the problem was the currency in which he was planning to trade: bitcoins. Billed as “the world’s first decentralised digital currency”, bitcoins allow you to pay anyone in the world instantly, using the Internet, without going through a bank or any kind of governmental authority. The difficulty is that said authorities, unsurprisingly, refuse to recognise it as a currency, even when one has thousands of dollars’ worth. And so McCarthy was forced to fly back to China. Issuing money has always been the preserve of governments. Without a central authority to manage a currency, the trust that keeps money functioning as a medium of exchange breaks down. But, despite McCarthy’s unhappy case, that reality may be starting to change. Thousands of transactions take place in bitcoins every day. Charges are minimal, typically less than 0,1%, and transactions are as secure as online banking. There are several exchanges that allow you to convert your bitcoins into traditional currencies — or vice versa — including rands. But, without a central clearing house, who vets all these transactions? What is to stop people from cheating one another by simply spending their digital coins multiple times? The solution is elegance personified. Bundles of transactions must be vetted by the entire network of independent computers attached to the bitcoin system before they are accepted as fact. These bundles of transactions, known as blocks, are scrambled, encrypted and cannot be convincingly faked. The details of the transactions act like a key that unlocks the block and confirms the veracity of its contents. As soon as a new block is broadcast to the network, all the computers try to “guess” this answer. When one succeeds it accomplishes two things: the transactions are vetted and the computer in question is rewarded with 50 newly minted bitcoins. And so, in a stroke of genius, they have tied the hard work of transactional security to the reward of currency expansion. Since the rate at which guesses occur is designed to adjust itself as available computing power shrinks or grows, the rate of currency growth is self-regulating. That rate is currently 300 bitcoins an hour, but will halve every four years until 2030 when the total supply will level out at 21m. This mimics the yield of a non-renewable natural resource like a mine, hence the process of solving blocks to earn bitcoins is known as “mining”. So, why don’t we all migrate to bitcoins and rid ourselves of governments and central banks? As appealing as that may seem in the present climate, few people would willingly convert their salary into a currency accepted by only a handful of companies on the planet. Another drawback is the wildly gyrating exchange rate. Once worth more than US$33 each, one bitcoin now fetches $3,15. The official bitcoin site is quite explicit about this being an “experiment” and most people are not comfortable with having that word associated with their finances. That has not stopped hundreds of South Africans from joining the bitcoin economy. Kenton Smith and Schalk Dormehl, co-founders of bitcoin.co.za, a local bitcoin community website, are upbeat about the future of the currency. Economist Paul Krugman was unmoved by such sentiments. In a recent blog post on The New York Times website, Krugman poured cold water on the whole experiment. His chief criticism was bitcoin’s inherent tendency to stoke deflation and encourage hoarding.